Our double rooms "Classic" can be found in the historical part of the house as well as on the ground floor of the new hotel building. Generously dimensioned 25 - 30 square meters provide for a harmonious stay. Our "Classic" rooms are equipped with HDTV, free Internet access via WLAN, desk, seating, telephone, minibar, safe and fully equipped bathroom. The rooms in the new wing also have a small terrace. 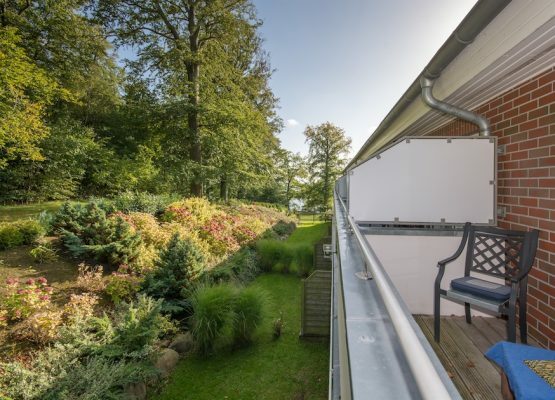 Our double rooms "Balkon" are situated in direction Biosphärenwald or Feld in direction Vilmnitz. 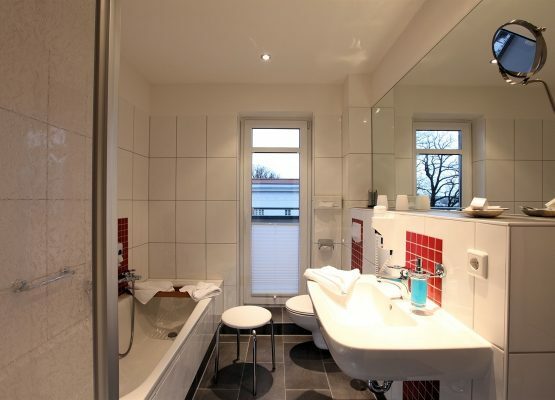 You will find the stately charm of the bath house here on 28 - 33 square meters. Our "balcony" rooms are equipped with HDTV, free Internet access via WLAN, desk, seating, telephone, minibar, safe, fully equipped bathroom and a quiet balcony to make your stay as relaxing as possible. Our double rooms "Seeside" offer a place for rest and relaxation. Let your thoughts wander with a direct or lateral view of the Greifswalder Bodden. 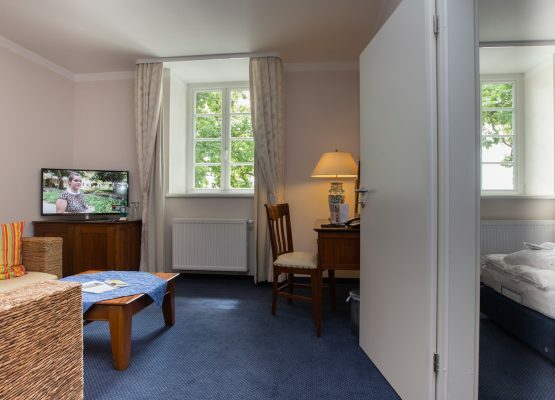 Our 25 - 30 m² "Seeside" rooms are equipped with HDTV, free Internet access via WLAN, desk, seating, telephone, minibar, safe and a fully equipped bathroom. 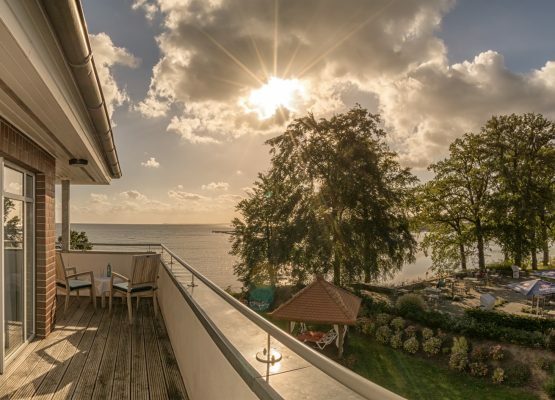 Our junior suites are located on the side of the Bodden in the historical part of the bathhouse. Experience the charm of the house on approx. 40 sqm. Our junior suites are equipped with HDTV, free Internet access via WLAN, desk, sitting area in the living area, telephone, minibar, safe, fully equipped bathroom and an extra WC. 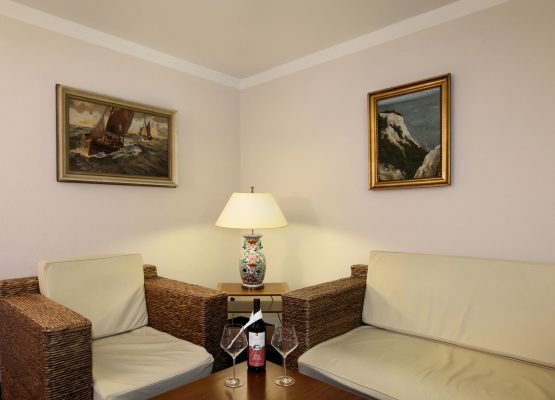 Our exquisite suites are generously dimensioned (45 - 60 sqm) and have a separate living room. Some of them offer a view of the Greifswalder Bodden and the fields in the direction of Vilmnitz. Equipped with HDTV, free Internet access via WLAN, desk, telephone, minibar, safe, sitting area, a living area, fully equipped bathroom and an extra toilet. 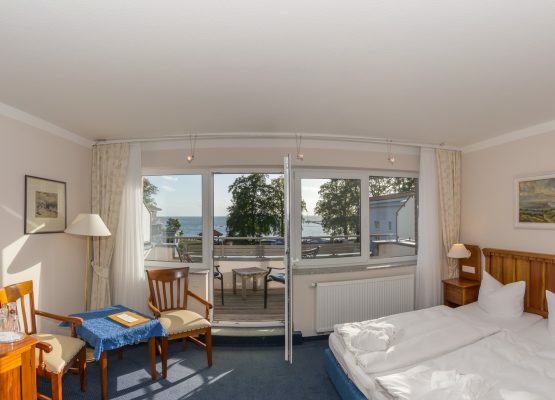 Experience the island of Rügen with one of our versatile arrangements that ensure a relaxed holiday experience during your stay at the Hotel Badehaus Goor. Whether it's a discovery holiday or a romantic wellness holiday for two - we have something for every taste and every season! Explore the island with the "Rasenden Roland". Dive into the deep worlds of the sea in the Ozeaneum Stralsund. Relax with a romantic rose oil bath for two. in spring, autumn and winter. 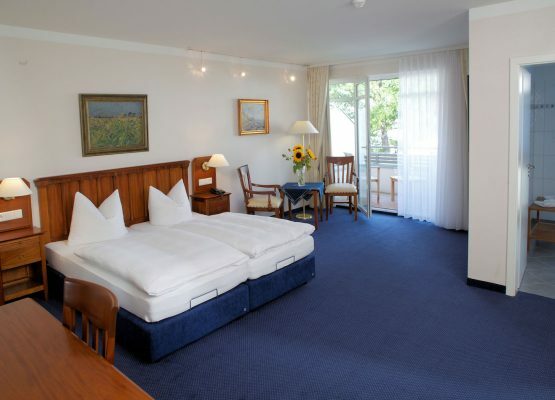 We offer a part of our rooms (double room Classik) at the preferential price of 80,00 Euro per night. The price is valid for 2 persons incl. breakfast and use of the wellness area, bathrobe and parking place. For the higher categories you only pay the surcharge of the corresponding category. 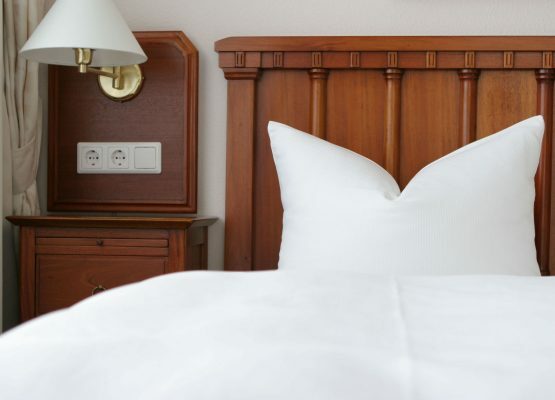 On days with exhausted quota you book at the current price.